I have had the pleasure of photographing this little girl throughout her first year of life. 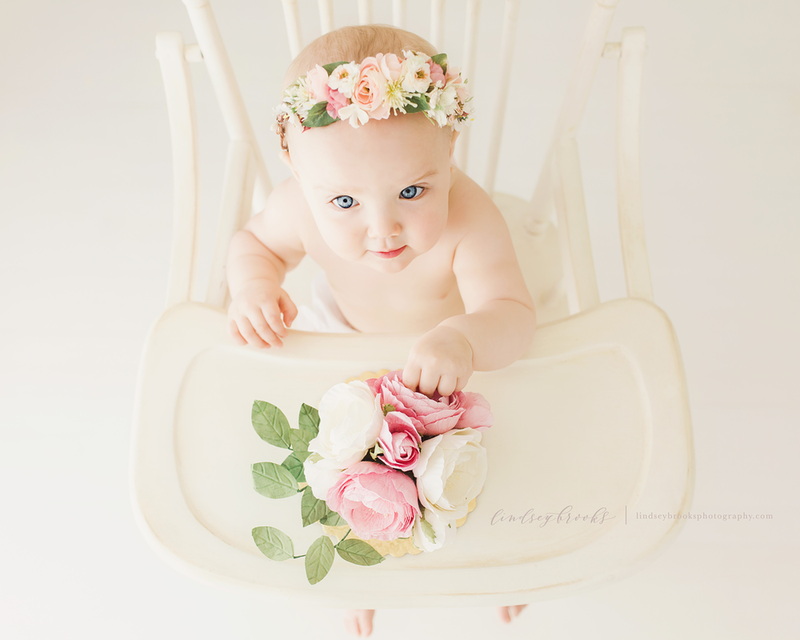 And yesterday, on her very first birthday, she came to the studio for the most adorable little portrait session. We had the best time. We danced, we laughed, we clapped, and we had cake...a good time was had by all. Happy birthday, sweet Peyton! I would love the opportunity to start planning a newborn or baby session for your child and family. My style is relaxed, simple, and timeless. Sessions can be photographed in my natural-light studio or in the comfort of your home. I also offer collective sessions that are perfect for capturing the special milestones throughout your child’s first year. Click here to learn more about a portrait session with me.